Explanation: At about 10 am Universal Time today, Mars and Earth will pass closer than in nearly 60,000 years. 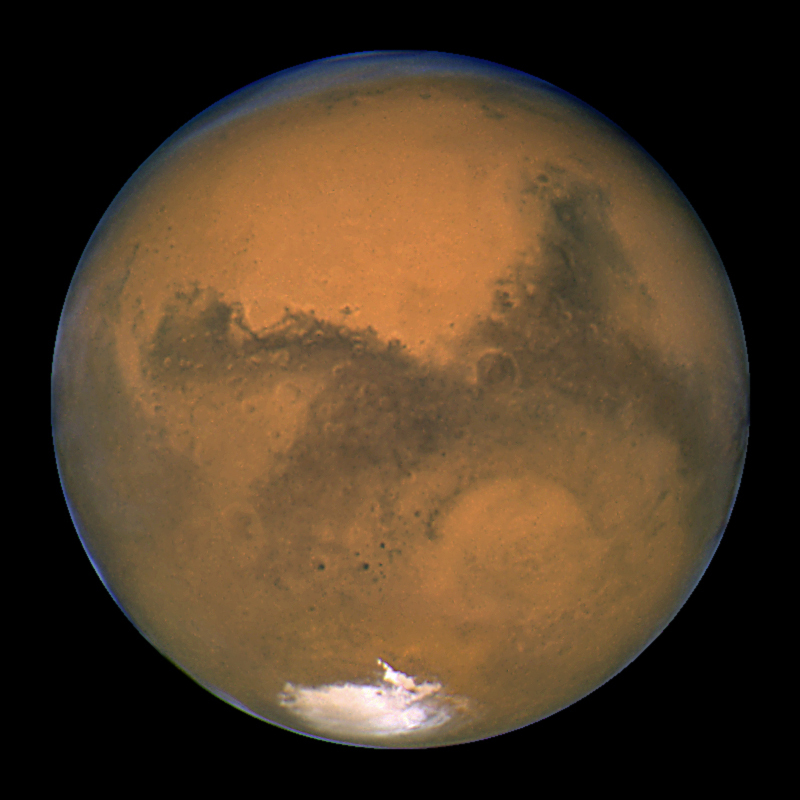 Mars, noticeably red, will be the brightest object in the eastern sky just after sunset. Tonight and through much of this week, many communities around the world are running a public Mars Watch 2003 campaign, where local telescopes will zoom in on the red planet. 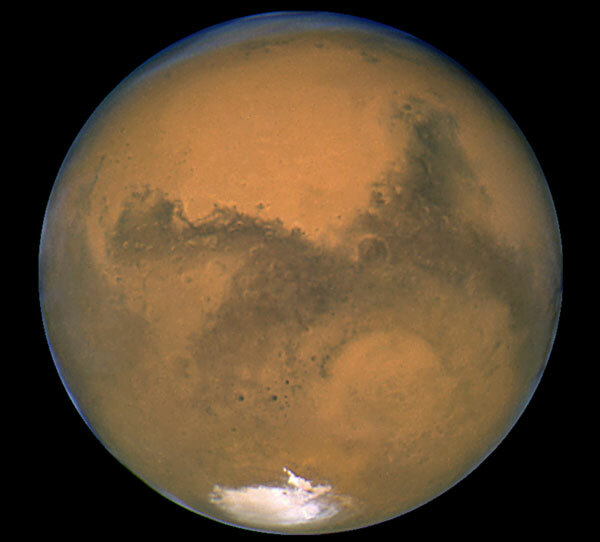 Pictured above is an image of Mars taken just last night from the Hubble Space Telescope in orbit around the Earth. This image is the most detailed view of Mars ever taken from Earth. Visible features include the south polar cap in white at the image bottom, circular Huygens crater just to the right of the image centre, Hellas Impact Basin - the large light circular feature at the lower right, planet-wide light highlands dominated by many smaller craters and large sweeping dark areas dominated by relatively smooth lowlands.